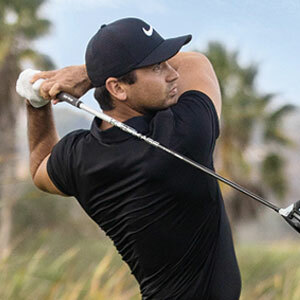 Jason Day is an Australian professional golfer with multiple top-10 finishes at some of the biggest events on the PGA Tour. Born in Queensland in November 1987, Day began playing golf at a young age and was enrolled as a junior member at Beaudesert Golf Club by his father when he was just six years old. The young golfer went on to experience considerable success during his amateur career. Being awarded the Australian Junior Order of Merit on two occasions as well as winning the Australian Boys’ Amateur in 2004. In July 2006 Day turned pro, signing with TaylorMade and adidas Golf and immediately began playing on the PGA Tour, mostly through sponsors’ exemptions. Success on the Nationwide Tour followed, with Day winning the Legend Financial Group Classic in July 2007, becoming the youngest man to triumph on any of the PGA's three cohorts and catapulting him to eighth position on the organisation's money list. Day gained his first PGA Tour win at the HP Byron Nelson Championship in May 2010, where he saw off stiff competition from US stars Jeff Overton, Brian Gay and Blake Adams by two strokes. Day sealed his narrow triumph with a chip to 14-feet on the 72nd hole, following this with a cool bogey putt for a round of two-over 72 and a four-day score of 270 at ten-under-par, which was still enough for him to seal the title. 2010 continued to be a stellar season for the then 22-year-old. With highlights including a top-10 finish at the PGA Championships as well as qualifying for the season ending Tour Championship. Over the following few seasons Day proved he was a force to be reckoned with on the Major stage. Finishing runner-up multiple times including the 2011 and 2013 Masters tournaments and the 2013 U.S. Open. In February 2014 Day won his second PGA Tour title and his first World Golf Championship at the WGC-Accenture Match Play Championship. The TaylorMade player was forced to miss three months of competitive play shortly after this victory due to a thumb injury. The following February, Day proved he was back in a big way. Winning the 2015 Farmers Insurance Open on the second hole of a four-man playoff. 2015 proved a pivotal year for the Australian who would go on to win a further four times including his first major title at the PGA Championship, beating Jordan Spieth by three-strokes and becoming the first golfer to ever finish 20-under-par in a major event. Day's incredible form continued throughout 2016 when he won a further three PGA Tour titles as well as taking over the Number One Ranking in the world from Spieth. With follow Aussie Adam Scott labelling his impressive run as "Tiger-esque."